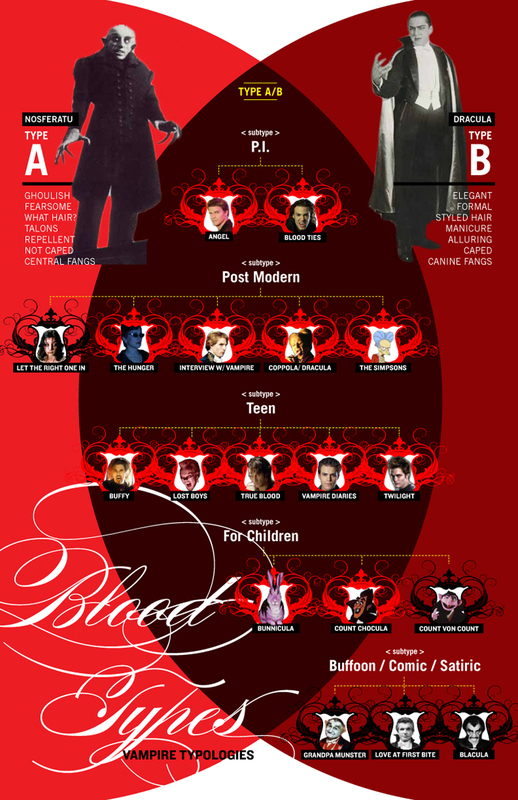 For a graduate school project, I created Blood Types, an infographic showing how the visual characteristics of all vampires derive from two distinct ancestors: Type A (Nosferatu) or Type B (Dracula). Most are an in-between mix, becoming a third blood type, A/B. Click here to read the accompanying text.